People consume TV differently than they did a decade or so ago. Paid TV subscriptions have declined significantly in the last 10 years. Less than 80% of US households now subscribe, and this trend will likely continue into the foreseeable future. Why is this? It’s simple: cutting the paid TV cord has become easier in a number of ways. There is now an abundance of available streaming channels, such as Netflix, Hulu, Sling, HBO Now, YouTube TV, DirecTV Now, and Amazon Video. And new services just keep coming. 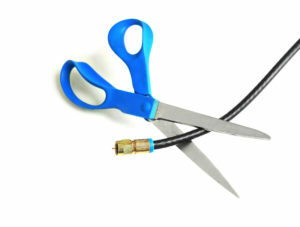 The cost of paid TV service has been a major factor. With the average price around $72.60 per month (2017), that takes a bite. In addition, the proliferation of mobile devices have allowed people to get entertainment when and where they want it, literally changing how people watch video. One other reason is that people want to do away with annoying cables hooked to their TVs. Instead, they are choosing to enjoy streaming content wirelessly on any HDMI-equipped big screen display. It is simple using a product like the ScreenBeam Mini2. Just beam content to your TV via a Miracast-enabled laptop or mobile device. Lots of content, lower costs, cable-free connections. What more could you want?